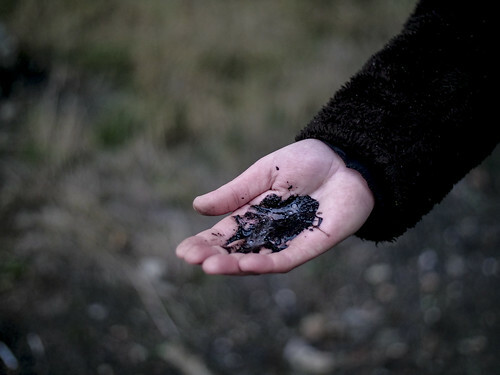 Eating coal and making shamanic makeup with colored saliva. 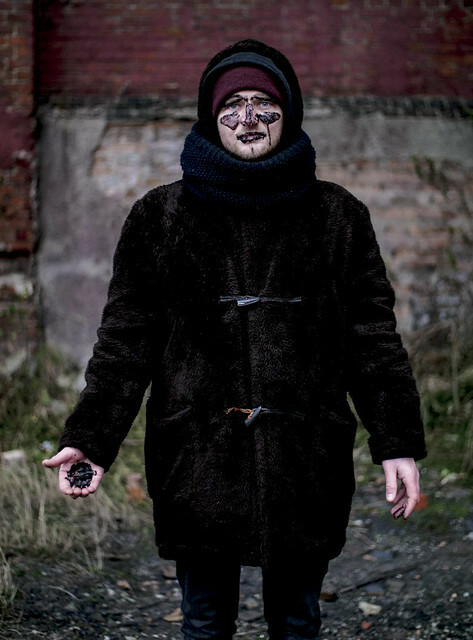 Performance was made in abandoned coal mine in Bytom(Poland). 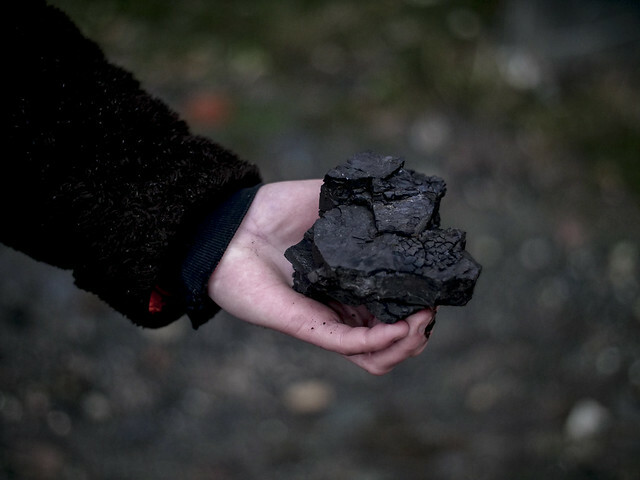 This area is one of the most polluted places in Poland. →Where Is Your God Now?